The thing about social media, despite all the flak it gets from older companies, is that it actually works. 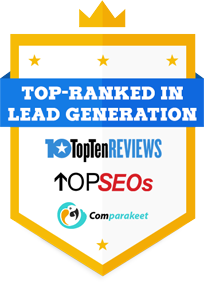 It can an effective tool for B2B lead generation, helping you get in touch with the right prospects, interact with them, as well as get important business information about potential sales leads. Know your goals – before you start your B2B lead generation campaign, you need to carefully plan what you want to achieve at the end of the year. By setting good business goals, you will be able to set up the right parameters and the tools that you will need in the campaign. Think of this as a necessary, if not time-consuming, business investment. Know your metrics – yes, now you know what you want to achieve. But in order for you to actually find out whether you are reaching your goals or not, you have to put the right metrics in place. For example, you need to decide whether average handling time, number of calls made, or even the number of B2B leads you are able to convert into a sale. This will serve as a key to crucial office decisions that you need to make. Know how to measure right – once you have the right metrics to take note of, next would be the measurement tools that you have to employ. It has to be done real-time, so you can better decide on what you should be doing next. It must be a system that fits your business well and that can be used by your employees properly. Know how to monitor – observing and recording the results of your appointment setting activities can be said to be as important as the tools that you use to generate the data. After all, how will you be able to figure out what you have to do if you fail to properly record what happened during a business call. That would be trouble for you. Know how to evaluate – the evaluation process, as well as the steps you need to take in order to improve your telemarketing campaign, is very important. You know that there is nothing perfect in this business, and if there is any way for you to be better, then you should take it. This might be the key to keeping your business running better now and in the future. Yes, social media can help in generate good B2B leads. What is important here is that you know where to start and that you have other marketing tools to use in your lead generation campaign.